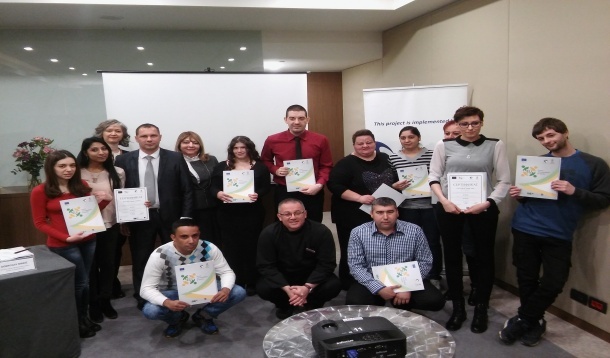 After 450 classes, within the training for Cooks in Belgrade’s Crowne Plaza Hotel organized by the National Employment Service and our Consortium, twelve of the unemployed candidates received a Certificate after successfully passing the final test. This test covered both a theory and a practice part, with candidates presenting their newly acquired skills in real working environment for a regular hotel function. Mr. Jovica Neskovic, Head Chef and practical tutor for the group, shared his positive impressions, stressing the importance of candidate motivation and interest. “Through the three-month-long programme, we went over numerous work segments including preparation of food stuffs in warm and cold kitchen, preparation of simple dishes, barbecuing and stove work, serving breakfast etc. Our goal was to equip the unemployed candidates with the basic skills and knowledge needed to perform the job of a Cook, and now it’s up to them to develop further, because this business requires constant learning and development”, Mr. Neskovic said. He also advised the candidates to never give up their dream, if being Cooks is the job they want to do. The training participants were exceptionally satisfied with the course and results of the training, which made them familiar with various aspects of the job, its requirements and the potential for creativity and self-expression. “We are grateful to the project team and our mentors, and before all to Chef Neskovic, who introduced us to the tools of this trade. I hope I will be able to compete for a work position as a cook with my certificate” said one of the trainees, Mr. Jovan Stojanovic after the certificate award ceremony. Mr. Dobrosav Maric, Director of Belgrade NES Branch Office, gave out the certificates, saying that he is excited that this training was so successful and that trainees are happy with it, and eager to continue with further development. He added that during 2017 around 650 unemployed persons will get a chance to participate in new trainings by the end of the year, helping them to find employment quickly. Ms. Maja Davidovic, Project Team Leader, mentioned that in the training programs completed to this moment some 200 persons completed instruction, resulting in direct employment of 40 trainees at the location of their training, which is a good indication that more people will end up employed when they enter the job market. Training programs were initiated in accordance with the labor market needs and as part of active labor measures for this year. The trainees are equipped with all the work material and instruction free of charge, and put through the program in a large coordinated effort by the NES, the project team, and a group of dedicated training providers – potential employers. 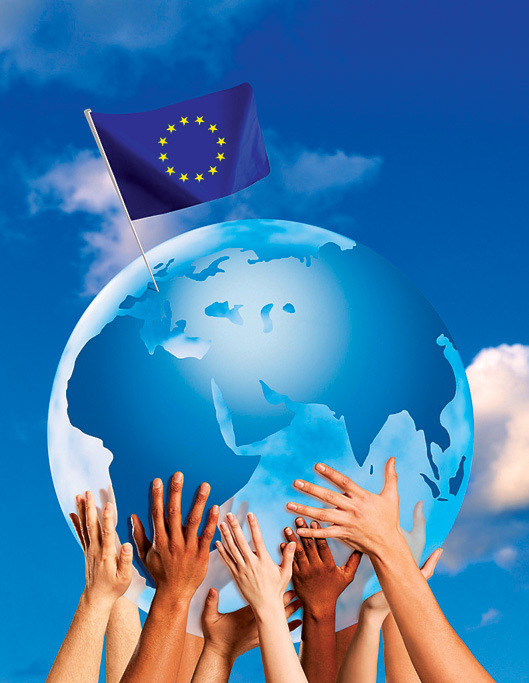 Overall 5.400 people will be included in these programs in all five lots within this project funded through the EU-funded direct grant to the NES.